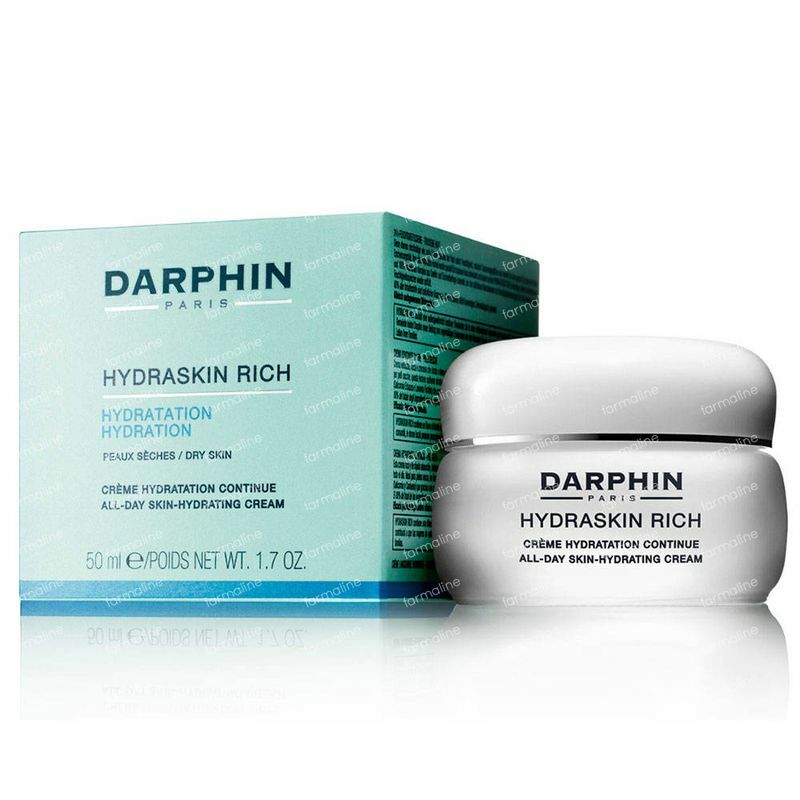 Ideal for dry skin, this nourishing texture features Darphin HYDRA-STRUCTURE™ Technology, a high-performance hydrating complex of powerful ingredients from Nature (Salicornia Herbacea, Butterfly Lavender) to help wake up skin's moisture mechanisms and defend skin's critical moisture reservoir. HYDRA-STRUCTURE™ TECHNOLOGY (Salicornia Herbacea has antioxidant properties an dit improves the skin's hydration levels while it helps to lock in moisture , Butterfly lavender extract helps to soothe the skin and relax it), Imperata cylindrica optimizes and reinforces collagen synthesis and moisture absorption in the skin, Mango fresh cells suspend all the hydrating benefits and vitamin C content from the mango fruit while hyaluronic acid is an excellent hydration agent to boost the skin's plumpness and moisture factors. Mango butter itself will become a comforting blanket for the skin and hydrate while it also protects and softens the skin. 80% of the total ingredients from natural origin. Formulated without parabens. Non comedogenic. Dermatologist tested.Clinically-proven efficiency. 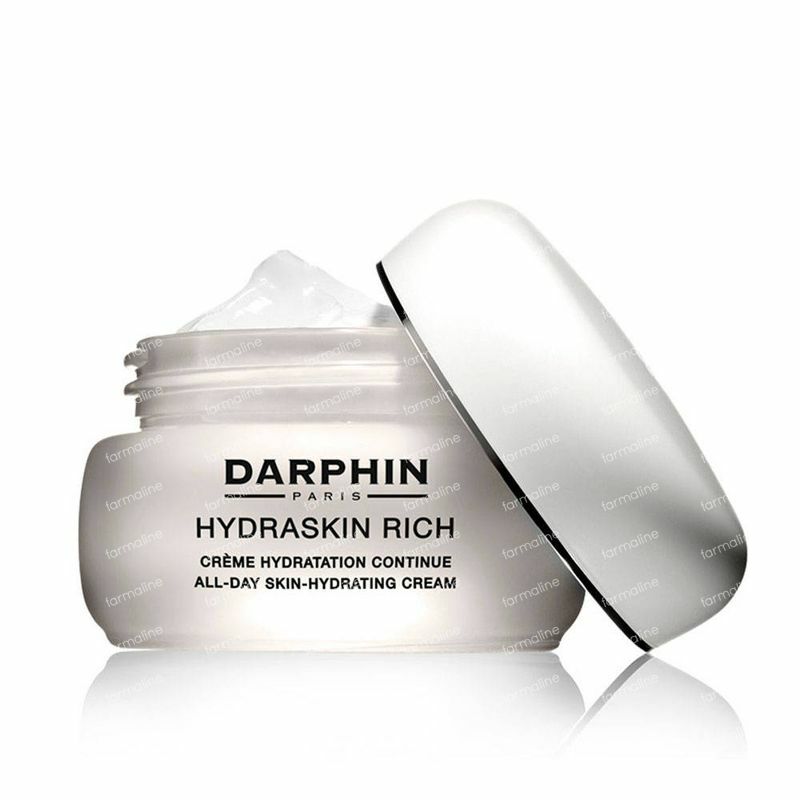 HYDRASKIN RICH features an exceptional quality Shea Butter from an African community. By supporting this community, Darphin helps enable local women to earn regular wages, provide education to their children and improve daily lives of their families. -A rich cream moisturizer with mango extracts and a hydrating complex of Salicornia Herbacea + Butterfly lavenderto rehydrate dry and parched skin. -Suitable for normal to very dry skintypes with dehydrated skin lacking moisture. Apply daily onto cleansed skin after a Darphin serum application in small massaging movements. At night it can be applied on top of a matching aromatic care oil. A very fine and light cream that gets fully absorbed by the skin and feels very pleasant. You don't need to use much and it also smells great! Your skin no longer feels dry. I have a very dry skin and was getting tired of trying out all kinds of cream. My skin always remained taught until my facialist introduced me to Darphin. I'm so happy with this cream and finally my skin stopped feeling tight and painful.